Sign-up using the form or call us at 619-421-0444. Welcome! Our South Bay Chiropractor, Electro-Equiscope Technician, and Massage Therapists are working together to allow you and your loved ones the ability to enjoy a happy, healthy, pain free lifestyle! Dr. Barry McCown and his staff are committed to providing each patient with an exceptional level of care and attention. Our dedicated staff works together as a team to provide high-quality comprehensive care. Our compassionate and understanding team takes pride in paying close attention to each patient's needs. At the CHIRO office, physical medicine and rehabilitation goes beyond just treating your symptoms. We work to diagnose and correct the underlying problem that is causing your pain and dysfunction. 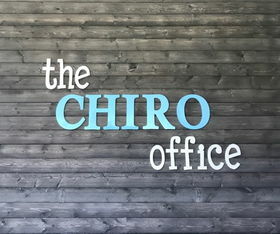 At the CHIRO office, we take physical medicine a step further, integrating the unique expertise of Chiropractor, and a highly trained clinical staff to offer an optimal, non-surgical team oriented approach to pain and injury. The CHIRO office is a VA Provider! The DRX9000 Non-Surgical Spinal Decompression can assist healthcare providers in an effort to treat low (lumbar) back pain. The DRX9000 provides treatment for the management of patients suffering with low back pain and sciatica. Decompression is designed to apply spinal decompressive force to compressive and degenerative injuries of your spine. It has been found to provide relief of pain for symptoms associated with herniated discs, bulging or protruding intervertebral discs, sciatica, degenerative disc disease, and posterior facet syndrome. We treat a variety of symptoms including back pain, neck pain, hip/pelvic pain, knee pain, ankle pain, headaches/migraines, shoulder pain, elbow/wrist/hand pain, fibromyalgia, carpel tunnel syndrome, industrial and sports related injuries and many other diagnosis. Our goal is to get you pain free and functional as quickly and effortlessly as possible. We are your DRX Specialist and we serve the Chula Vista, Bonita, Imperial Beach, San Diego and National City areas. Our services include chiropractic care, physical therapy, physical rehab, Electro-Equiscope Therapy and massage therapy. Immediate appointments available, Our facility is located in the south bay area. Our center is close to highway 125. Meet Dr. Barry McCown, the clinic director at the CHIRO office. He has been practicing the art of Chiropractic for 26 years. Dr. McCown wants to ensure your treatment experience at our office exceeds all expectations and we are able to meet your short and long term healthcare needs. Dr. McCown is a Certified Chiropractic Sports Physician, Qualified Medical Examiner and a sports enthusiast himself. He is an avid golfer and a professional bowler on the PBA50 Tour. He is passionate about staying fit and game time ready. He is here to get you ready to play and compete. If you should have any questions or concerns, please let him know. He welcomes difficult cases and referrals from all providers. Heather Gotham has been helping individuals with advanced and accelerated healing as an Electro-Equiscope Technician for over 4 years in the Eastlake area of San Diego. She is passionate about relieving pain and suffering through this intelligent and highly advanced technology.